Q: Do you have any advice for artists trying to make art a career? A huge part of the job has nothing to do with talent—it’s how you conduct yourself professionally. Be nice to people. Be available. Finish projects. Meet deadlines (as best as you can). Communicate well. More than anything else, people want someone they can work with and rely on. If you can do that, you’re way ahead of the game! Q: Tell us a story about one of your first experiences with the Horror genre. When I was in third grade, I went to a slumber party with a bunch of girls from my class. No eight-year-old wants to go to sleep! We crept into the living room and caught sneak peeks of a Friday the Thirteenth marathon on TV. Each time something scary happened, we’d scream in terror and run upstairs. After that, I was always the “scary one” at slumber parties. I’d draw pictures of monsters to warn people who’d be appearing once they slept. I’d tell ghost stories and urban legends. I’d devise elaborate plans to scare people, like telling my brother to scratch on the window outside. Once I realized the power fear had over people, I was hooked. Q: Are people ever surprised to find out that you’re involved with Horror? If so, how do you handle that? “But . . . you seem so nice.” I hear that a lot. I reassure people that horror fans are some of the most grounded, inclusive folks I’ve ever met. We aren’t afraid to explore our fears and face them head-on. We’re open to the supernatural world and don’t make any assumptions about what’s out there. Horror stories are metaphors for things we see daily. I say, go to those bad places. Revel in them in the safety of your own home. See life through a slightly darker lens. Understand how terrible things affect people so you can be sensitive to real-life horror. 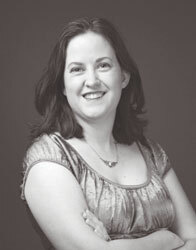 Bio: Deena Warner graduated from UNC Charlotte with a degree in illustration. She has long had an interest in the horror genre and her artwork has been commissioned by presses like Cemetery Dance, Necon Ebooks, and Raw Dog Screaming. Deena has presented work at conventions across the country and was artist guest of honor at the Bram Stoker Weekend in 2011. 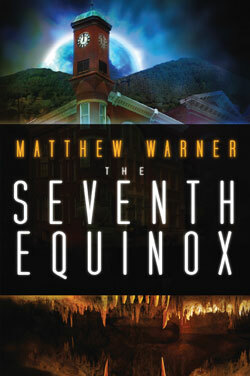 She currently lives in Staunton, VA, with her husband, author Matthew Warner, two sons, and one loving feline. 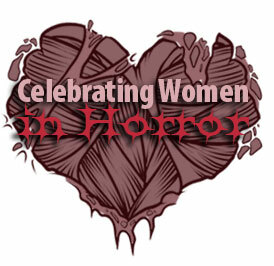 Read more interviews in our Women in Horror Q&A series.